This article is to explain how you can add video content to your landing pages. Your video should first be added to a video hosting site such as Youtube, Vimeo or Wistia. These sites will provide you an "embed code" you can use to make the video appear on your landing page. Using the regular link for the video will cause issues with your landing page loading. Ensure the correct embed code is used. 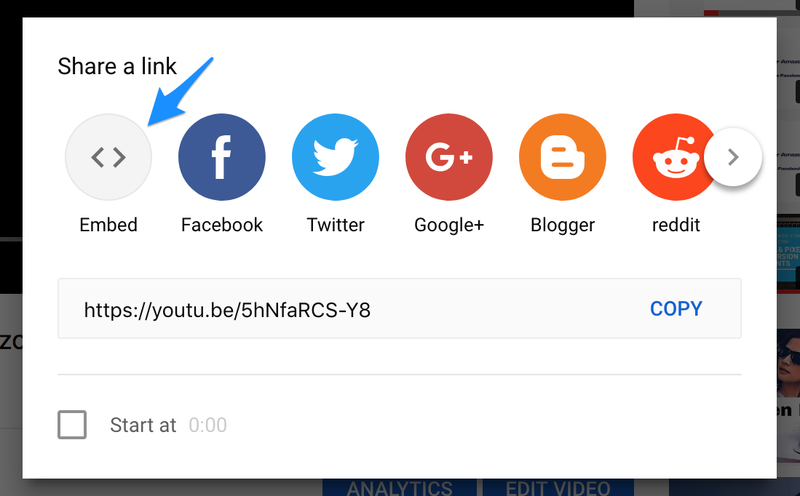 Find your video, and hit "Share"
Under the sharing options, it will say "Embed". Copy this code in this box. Open your video in Wistia. Hover "Video Actions"
To edit your landing page content, go to the "Design" page. There are two places you can add your video. 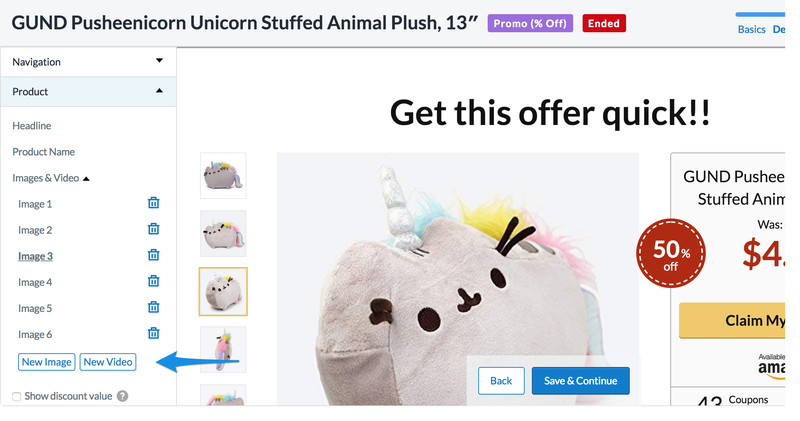 The first is with your product images, at the top of the page. To add a video here, go under “Product”, and select “New Video”. 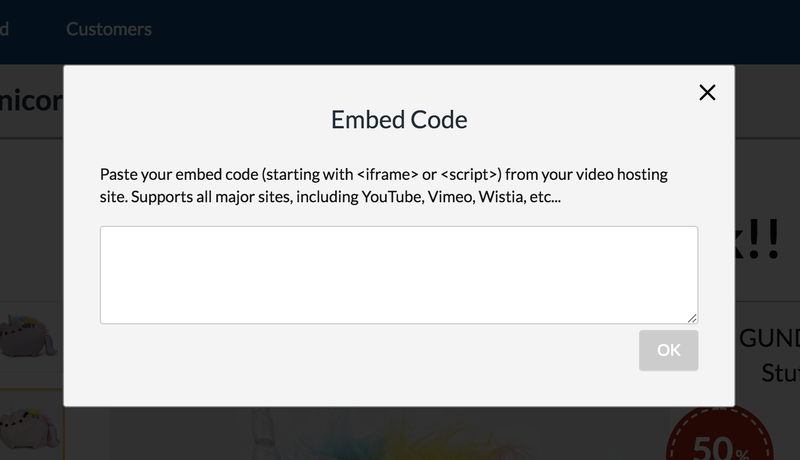 Now add the embed code from your video hosting site. You can also add a video below your product description. To do this, go to the “Video” section. 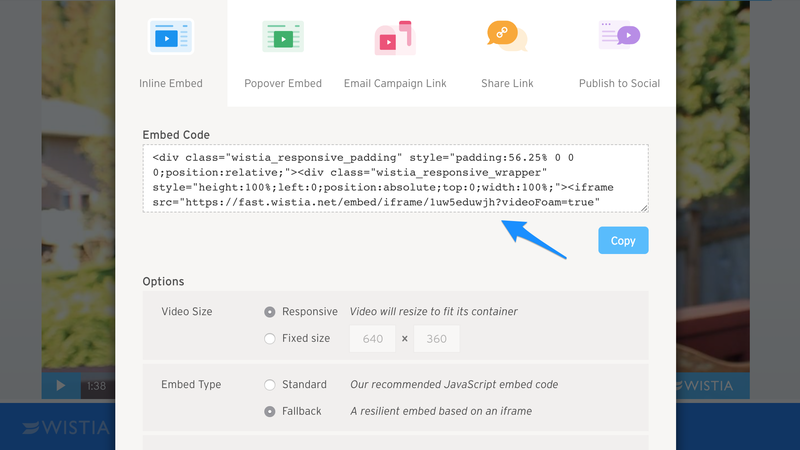 Tick “Show Video”, and paste your video embed code in this field. Any problems, or questions? Contact out support team and we'll be happy to help.